It's that time of year again! 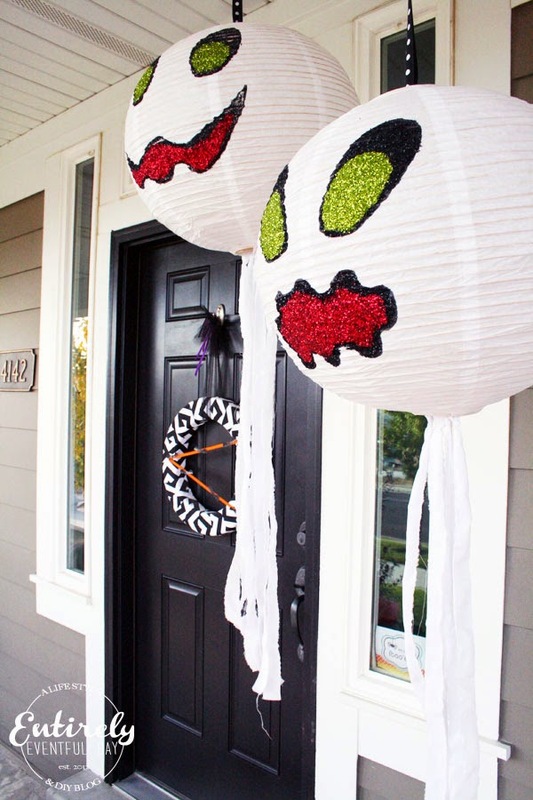 Time to decorate your front porch. Pull out the fake pumpkins and plastic skeletons. Think real hard about what you accomplish with in the color scheme of black and orange. Do I go with a black cat motif or more of a decapitated zombie feel? So many questions. Don't fret. I am here to help. Prepare yourself for my... Halloween Porch Decorating Series! This is just Part ONE! So much creepy goodness to come (I can hardly wait). 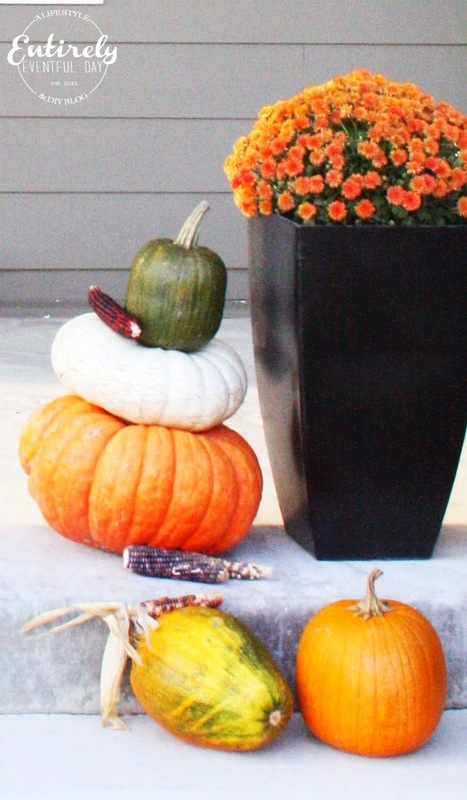 I love the looks of stacked gourds. There is something very "Martha Stewart" about it. I also really dig the orange mums in the black platers. This is the absolute perfect what to make Halloween a little more classy. 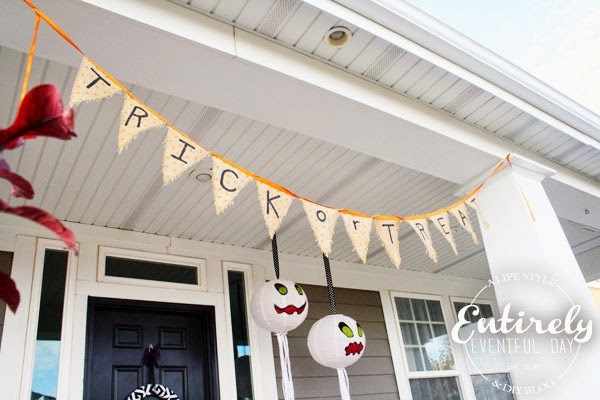 A simple banner is easy to create with some ribbon, burlap, and a permanent marker. Too cute. I am in serious love this these little guys! 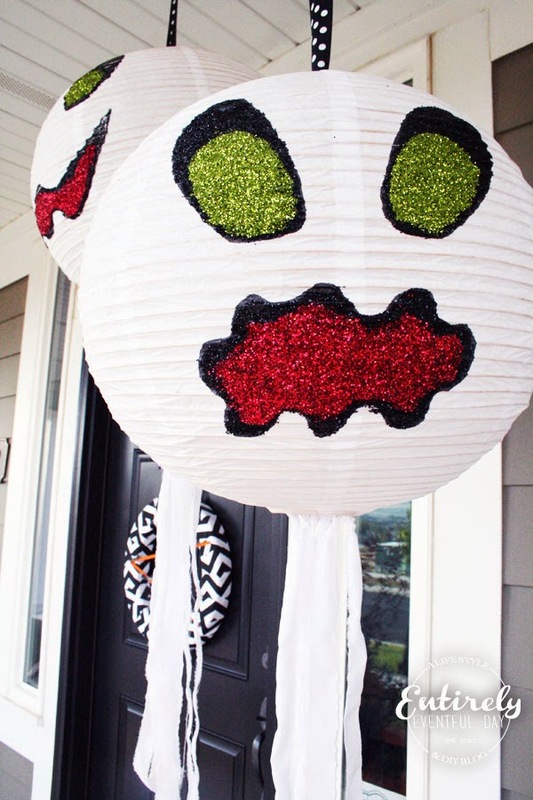 I mean, come on, glittery ghosts painted on paper lanterns. Eat your heart out Better Homes and Gardens. 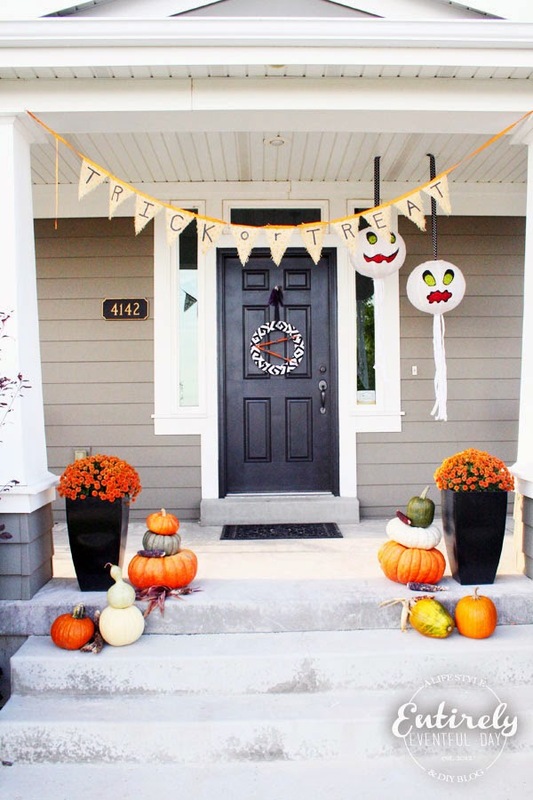 I hope you gleaned a little Halloween Porch inspiration. 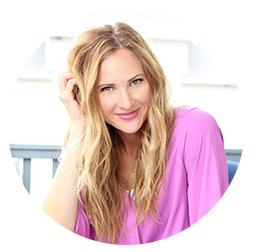 There's much more to come!